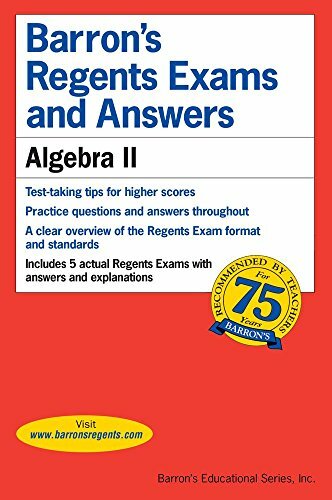 1438008430 – Barron’s Regents Exams and Answers: Algebra II (Barron’s Regents Exams and Answers Books) by Gary M. Rubenstein M.S. Students will find review and practice for all algebra topics, such as Polynomial Equations, Rational Equations, Exponential and Logarithmic Equations, Systems of Equations with three Variables, Functions, Sequences, Probability, and so much more. This book is an essential, must-have guide for the new Algebra II Regents Exam. Author: Gary M. Rubenstein M.S.